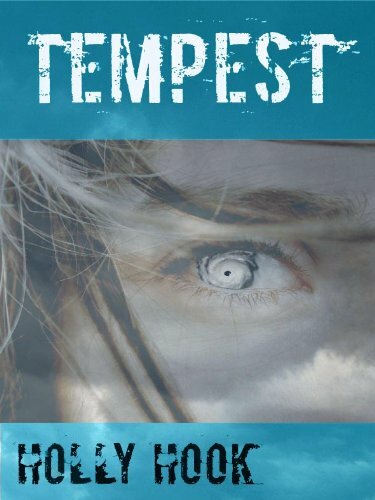 I got the opportunity to do an interview with Holly Hook, author of Tempest , a YA novel about a girl that has the ability to turn into the most powerful and deadly hurricane in history. Here it is! Today’s YA is riddled with werewolves, vampires, and witches (oh my!). But in Tempest, we’re dealing with something completely different. We’re dealing with people that can turn into hurricanes. What gave you the idea for that? Well, I've always had some interest in natural disasters, so I'm sure that lent a hand. The real idea came from a dream I had one night, after I'd eaten some mini burgers I accidentally let sit on my counter for three hours. I don't remember much of the dream itself, but the next day, I sat down and wrote out the idea for Tempest, then put it out there in a forum on my critique site. I thought that maybe it was too weird, but I got a lot of enthusiastic responses for the idea, so I went for it. I’ve lived in Florida, which is where Tempest takes place, my entire life and as such I’ve been through my fair share of very, very scary and destructive hurricanes. Have you ever been caught in a hurricane? What was it like? I live in Michigan, where to biggest danger, I think, are icy roads in the winter. Never having been through a hurricane, I had to get a lot of help from my critique partners in this area and watch a lot of videos on the subject. Describe your main character Janelle in 4 words. I'm planning on four or five books in this series, and possibly starting more than one series starring characters with natural-disaster based powers. I finished the second Destroyers book, Inferno, a little over a month ago and have sold over 100 copies so far in eBook format. I'm getting some ideas together for the third, though I'm not naming which disaster I'm focusing on next. I have a general idea of where the series will go and how it will end, and plan to focus on a different natural disaster with each book. When you were writing Tempest, were there any songs or musical artists that you listened to for inspiration? If so, what were they? 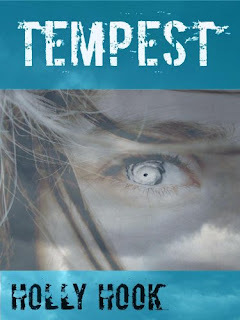 Check out her fantastic novel Tempest !